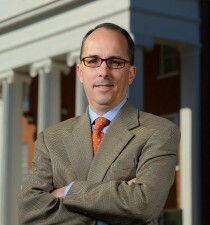 Tucker opened the doors of MIP as Executive Director in August 2007. Before he came to Mississippi, he served as visiting professor at Georgetown University Law Center and supervising attorney at Public Defender Services in Washington, D.C.
Sandra Levick joined the Innocence Project Clinic/Office as a staff attorney in fall 2016. Sandra most recently was director of the special litigation division at the Public Defender Service (PDS) for the District of Columbia. In that position she managed an office four attorneys who litigated systemic issues in the criminal justice system, both in local and federal court, as well as amicus in other jurisdictions and in the U.S. Supreme Court. Sandra is the 2013 recipient of the Kutak Dodds Prize presented by the National Legal Aid and Defender Association and the R. Kenneth Mundy 2012 Lawyer of the Year award presented by the District of Columbia Association of Criminal Defense Attorneys. She is a graduate of the University of Pennsylvania and of Northeastern University School of Law. She is a member of the Louisiana, District of Columbia, Maryland, United States Supreme Court, United States Court of Appeals for the District of Columbia Circuit, and United States District Court for the District of Columbia bars. Carol joined MIP in May 2009 and is in charge of all non-legal affairs. She is involved with creative projects and programming such as internships and clerkships, post-exoneration efforts, legal education programming, case management, marketing and media projects. She is responsible for all financial and administrative operations, maintains a working relationship with the University community, regional partnerships, as well as relationship-development with potential public interest organizations outside of the University. 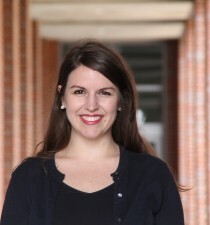 Her interest in public interest work is rooted from her experience at Auburn University’s Rural Studio – a full immersion architectural program that pairs architecture students with families and community organizations to design and build thoughtful and inspiring homes and community buildings in west Alabama.